This page contains excerpts, in the form of downloadable MP3 files, from various albums and recording projects. 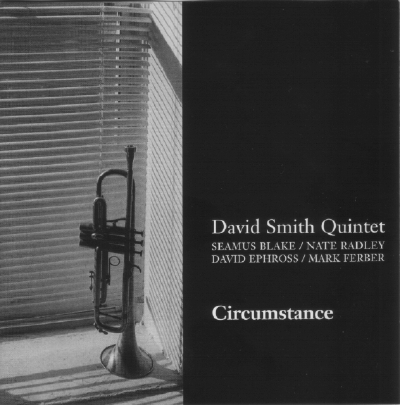 Trumpeter David Smith recorded his album Circumstance in 2005, and it was subsequently released on CD by the Fresh Sound/New Talent label (FSNT 267). David told me he wanted to replicate, as far as possible, the recorded sound of the classic jazz albums of the 1950's and 60's. To that end, we recorded at Sear Sound in New York City, known for their welcoming atmosphere and fabulous collection of vintage microphones. The Pro Tools HD session was then mixed in my studio (AuldWorks). CD mastering was done by Allan Tucker at Foothill Digital, NYC. Tubicinate is a blistering straight-ahead jam, written by David, and the third track on the CD (which can be found at CD Baby, or purchased directly from David). As with all the tunes on the album, the group was arranged in a circle around an AEA R-88 stereo ribbon microphone, along with spot mics on the drums, guitar and bass. The horns sounded so nice through the R-88 that no spot mics were needed for them. Composer and multi-instrumentalist Gaudencio Thiago de Mello may not be well known to the North American public, but he is highly respected among musicians. In particular, Paul Winter and guitarist Sharon Isbin have frequently performed his compositions, and the Teldec CD Journey to the Amazon features the three of them performing together. Journey to the Amazon was nominated for a Grammy in 1999. Another Feeling was recorded mostly in 2005. Thiago's original concept was to record only piano, Dexter Payne's clarinet or sax, and various percussion instruments, all played by Thiago--in short, he would be the rhythm section. This involved a lot of overdubbing, so the album was recorded in Pro Tools, partly at Thiago's studio ("Cinderella Studio") and partly at mine (AuldWorks). Rede de Caboclo is the first tune on the album, and features the piano playing of Richard Kimball, who has collaborated with Thiago over many years. The bells heard at the beginning are a set of wind chimes that normally hang in my kitchen. 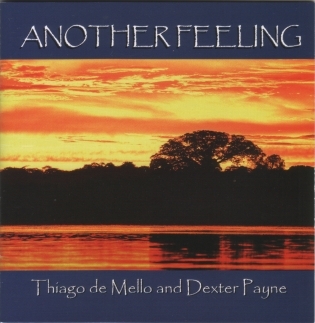 Another Feeling is available at Amazon.com, or directly from Thiago. His music is also available at the iTunes store. Chegada, the fourth track on the album, shows, as it progresses, how this unusual instrumentation can generate the rhythmic swing normally associated with a full band. Besides Thiago and Dexter, Helio Alves is featured on piano. 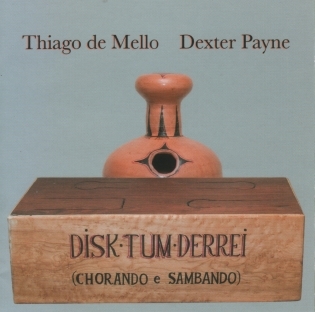 Disk-Tum-Derrei is available at Amazon.com, or directly from Thiago. The Night the Moon Cried (GAU-1003) was issued in 1999. As it is one of his older albums, Thiago's website is probably the best source for it. Hot Sand, written by Thiago collaborating with Claudio Roditi, was recorded in 1994. The musicians are Helio Alves, piano; Romero Lubambo, guitar; Nilson Matta, bass; Vanderlei Pereira, drums; Hendrik Meurkens, harmonica, and Thiago on percussion. The group was recorded live-to-2-track in Thiago's NYC apartment -- which worked out well, since Thiago has a very nice Steinway grand piano. 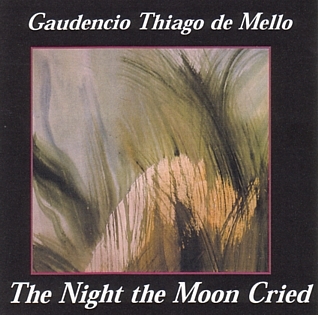 The Night the Moon Cried, written by Thiago, was recorded in 1996. The musicians are Cliff Korman, piano; David Fink, bass; Vanderlei Pereira, drums; Romero Lubambo, guitar; Hendrik Meurkens, harmonica and Thiago on percussion. This was another live-to-2-track session. 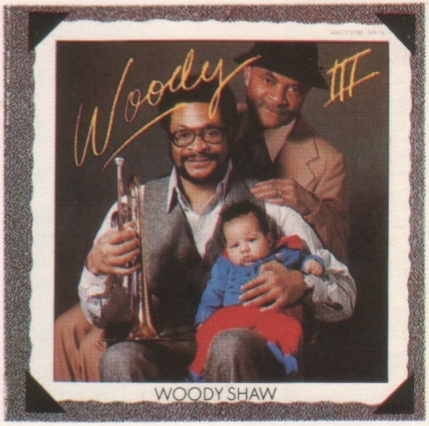 Woody Shaw's 1979 album for Columbia Records Woody III has never been released on CD. As it contains some of Shaw's finest writing and playing, this oversight is a mystery. The audio file excerpted here was dubbed in 2008 from the original audio cassette issue of the album. Playback was via a Nakamichi DR-1 cassette deck and digital recording by a Tascam HD-P2 portable flash card recorder, at 88.2 kHz/24 bit resolution. So as to preserve the quality of the original dub, the MP3 file linked here is encoded at the maximum resolution available with the MP3 format, 320 kbps. The resulting file is fairly large--10.2 Mb--but can be handled by typical high speed connections. More music of and information about Woody Shaw can be found at The Official Woody Shaw Website. 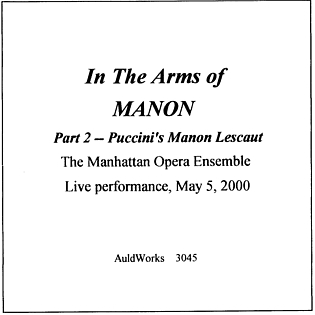 In the Arms of MANON was a presentation of excerpts from both Massenet's Manon and Puccini's Manon Lescaut with narration by Elizabeth Brooks. In this excerpt, the aria In quelle trine morbide, soprano Caron Harris is heard with pianist Irina Lopukhin. The recording was made with a Crown SASS-P stereo microphone in the Church for All Nations, located on West 57th street in Manhattan. 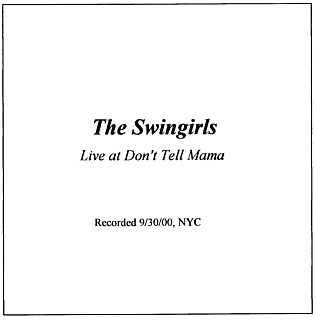 The Swingirls, Live at Don't Tell Mama was a demo recording made in live performance in a New York City cabaret. Nightclub venues are notoriously difficult places to make live recordings, what with the amount of background noise, use of live sound systems, cramped physical dimensions, etc. It is usually necessary to do a multi-microphone mix in such a situation, and Route 66 is an example of that, done live-to-2-track. 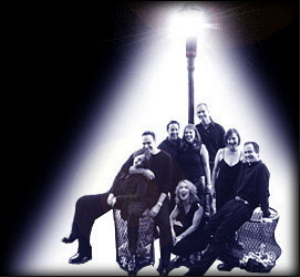 The performers on Route 66 are Linda Harris, Josie Porter and Mary Beth Purdy, vocals; Joe Reina, piano; Wayne Roberts, bass, and Sunny Jain, drums. Each MP3 file above is linked for download with a typical web browser. Many of the files are high definition MP3 files of 7 or more MB size. (Whenever this is the case, I list the file size next to the download link.) While it is possible to download them with a dialup connection, a high speed connection is recommended. Streaming files are not available at this time. Windows users have a couple of options for downloading these MP3 files. If you left-click on the link, what happens is to some degree dependent on the settings of your browser, but the file should load to a temporary file on your hard disk, after which it will begin playing in your browser's default MP3 player. If you right-click on the link, you will be offered a pop-up menu with "Save link as..." being one of the choices. You may then select that choice and save the file on your hard disc.